Know the sarcastic proverb “the inmates are running the asylum”? Well, that’s what it pans down in Duerrenmatt’s Physicists. The play is brilliant, sharp, political, irreverent and current and with the right kind of actors it’s a hoot. It is a hoot in Stratford. Which is no surprise given that Mike Nadajewski, dry witted Graham Abbey, Seana McKenna and Geraint Wyn Davies are sparring with each other. The play opens with a gruesome murder:a nurse of the renowned private sanatorium of Dr Mathilde von Zahnd has been killed by one of the inmates, erm patients. The killer, who firmly believes he is Einstein, plays the violin to calm down. He cannot be made responsible for his deed, he is, after all, ill! Just like a couple of months ago when another … patient killed another pretty nurse. Then ” Isaac Newton” could not be made responsible, much to the chagrin of police detective Blocher who understandably itches to bring both delinquents to justice. Alas, as fraeulein dr von Zahnd explains, not gonna happen. The third patient, Möbius, has company. Years ago, after a nervous breakdown he started to see Solomon. Now his divorced wife comes to say good bye to him. She will accompany her new husband, a preacher, to the pacific. Möbius seems almost relieved about that, as if a heavy load has been taken off his shoulders. Nurse Monika Stettler is relieved as well. She finally dares to talk to Möbius about her feelings for him. Not only is she in love with him, she also has taken his life in her hands, organised a position at a prestigious university for him and given his writings to a fellow Physicist who is impressed by his findings. Now she presents Möbius with a new life outside the confines of the sanatorium, with the life of an honoured physicist he deserves. Is it a surprise that Möbius kills her? The third death of a nurse does have consequences though. Only male nurses will be allowed in the future, impressive massive men who are boxers and the likes. And this leads to a surprising twist. Newton (who only pretended to be Newton because in fact he was Einstein but someone else was already thinking he was Einstein) is quite clear of mind. He is Beutler (Graham Abbey), a fellow Physicist in the pocket of an unnamed authority, paid to befriend Möbius and to garner his findings. And Einstein, it turns out, is Ernesti (Mike Nadajewski), another physicist working for a different unnamed authority. Driven to action by the newly installed safety measures, the two, even though wary of each other, approach Möbius. But he (Geraint Wyn Davies) is it seems the only one with a conscience. His findings during his time in the sanatorium might mean the end of humanity so he prefers to stay and not share his work with anyone. I of course adored Graham Abbey. His dry wit is hilarious (the translation by Michael Healey is brilliant btw) and his switches from seemingly normal to hysterically bonkers are quite something. Geraint was obviously reigned in and a bit subdued which made his part all the more plausible and Seana McKenna rocks it as the power greedy oligarch. And that’s the amazing thing: even written in the early 60s ( it premiered in 1962) this play is hauntingly current with its depiction of ruthlesness in the pursuit of money and power, the obvious neglect of human rights and the greed that drives people to extremes. That said, I laughed throughout the play’s satirical dialogues and I’m very glad I get to see it again, because once just isn’t enough! 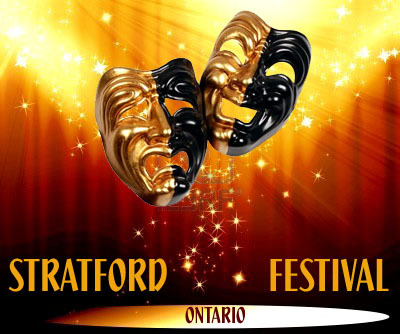 This entry was posted in Stratford Festival Ontario and tagged Geraint Wyn Davies, Graham Abbey, mike nadajewski, seana McKenna, Stratford Ontario, The physicists. Bookmark the permalink.